Nominated by Theodore Roosevelt on June 20, 1906, to a new seat authorized by 34 Stat. 202. Confirmed by the Senate on June 27, 1906, and received commission on June 27, 1906. Service terminated on September 5, 1916, due to appointment to another judicial position. Nominated by Woodrow Wilson on August 15, 1916, to a seat vacated by Emile Henry Lacombe. Confirmed by the Senate on August 21, 1916, and received commission on August 21, 1916. Service terminated on April 22, 1927, due to death. 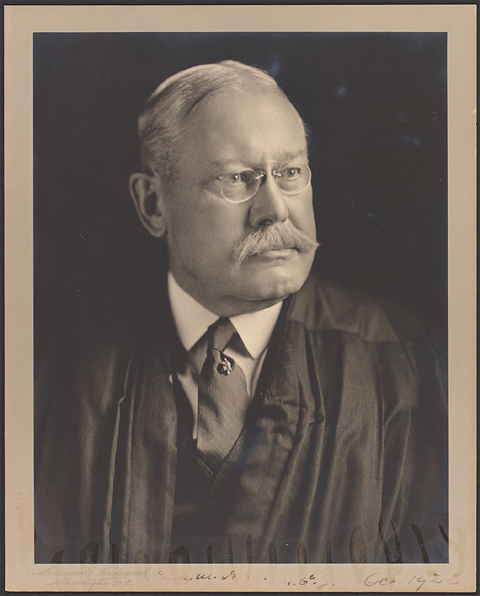 Charles Merrill Hough; by Underwood & Underwood; Photograph; n.d.; Legal Portrait Collection, Harvard Law School Library, Cambridge, Mass., record identifier: olvwork178937. Reference image courtesy of Historical & Special Collections, Harvard Law School Library. Further reproduction prohibited without permission of the library.